The rumour was persistent since the latest Fort Lauderdale Boat Show - that CMN will imminently announce the end of its superyacht activities. The yachting division of the French yard will stop to concentrate the future activities on the military and commercial sides. Being part of Privinvest Holding, the two unfinished projects, a 42.6m hull and a 60m hull sister of Slipstream and Cloud 9, will be shipped and finished by Nobiskrug if contracts are signed, the German yard becoming the superyacht brand of the group now. 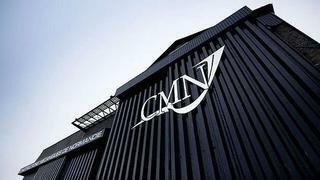 CMN started its superyacht activity in the 1990s, producing five sailing yachts, five motor yachts and three yacht conversions. This is the end of the superyacht-building-story for CMN; France is losing one of its large-yacht builders for strategic reasons.